Scifaiku poem is based off the idea of mining the asteroids. 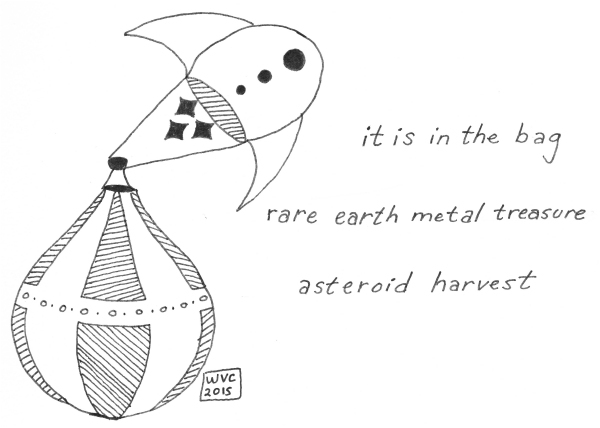 It is said that the asteroid of the future will be surrounded by a bag, blasted and then the remains scooped up and harvested for rare metals. It is science fiction now, but in the near future it will be science fact.